After a hard, dirty day of running around in and out of mud, nothing soothes the energetic-beast in Archie & Mia than a good, relaxing bathing session. My dogs are pretty different, even if I touch their shampoo, they are alarmed and try to run awaty. If your doggo are similar to mine then I have a little tip to share with you all, try assembling all the shampoo and bathing material before hand, in the bathroom, this way, you will save yourself from running around to catch them. A massage is a treat we all look forward to. But it is something that can help your pets feel really good too. 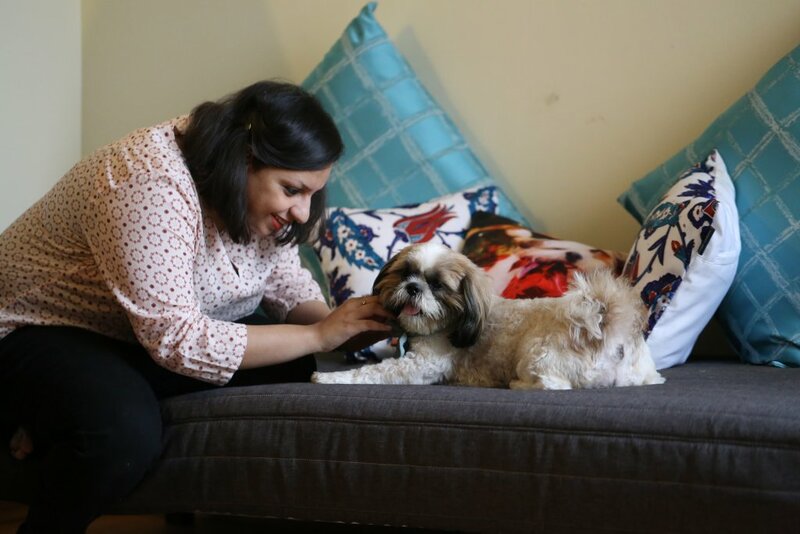 Canine massage provides a wide range of physical and psychological benefits for your dog, and a basic massage you can do at home only takes a few minutes. Plus, it’s a wonderful way to build and strengthen the bond you share with your canine companion. 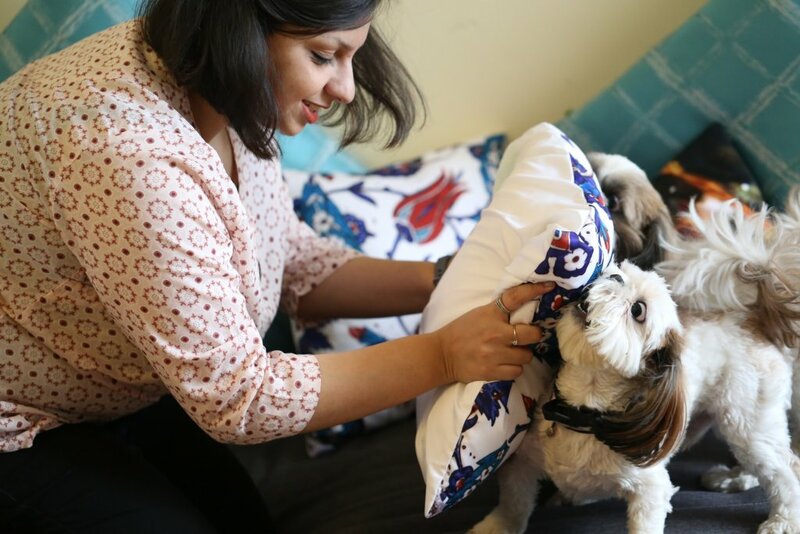 Nothing works miracles, like MASSAGE: Just like humans, massage is something that soothes our canine companions well. 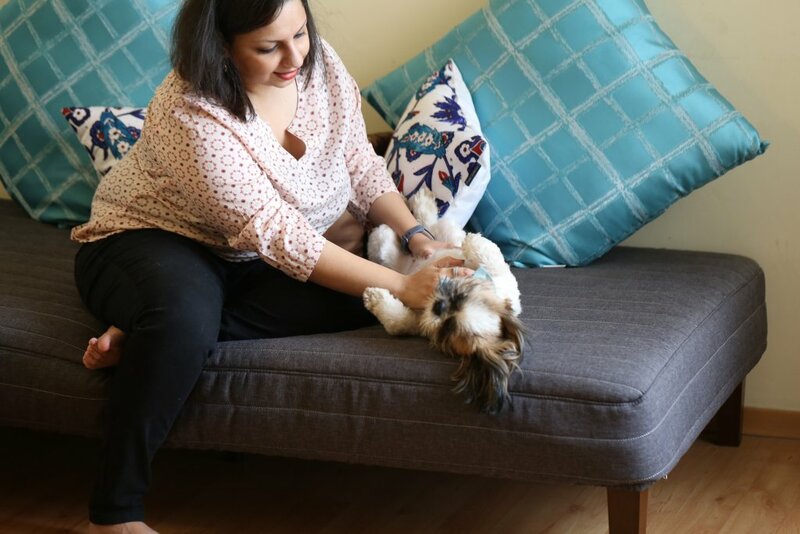 Canine massage provides a wide range of physical and psychological benefits for your dog, and a basic massage you can do at home only takes a few minutes. 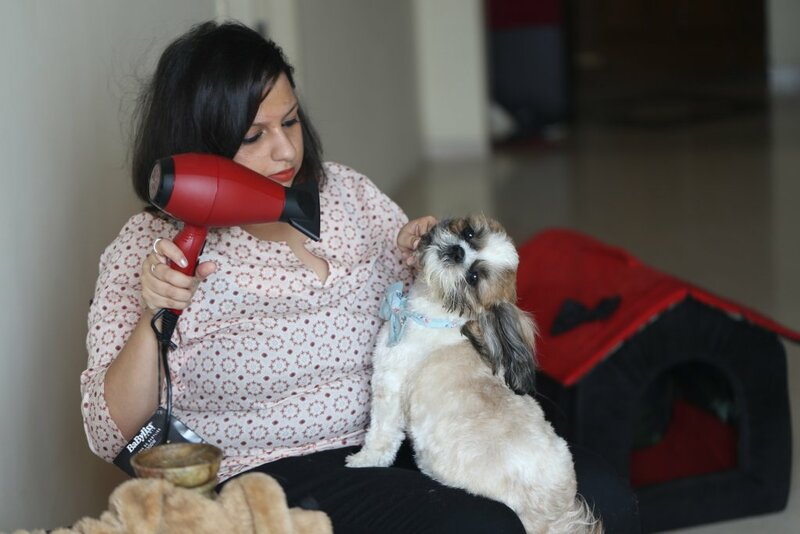 Plus, it’s a wonderful way to build and strengthen the bond you share with your canine companion.After a long bathing session in lukewarm water, invest in equally long massage session: Drying-up those tassels: Benefits of Massage From my personal experience my dogs don’t feel comfortable getting aromatherapy from anywhere outside. There may be many dogs that feel best if they are handled by their parents. Some of the benefits are: 1. 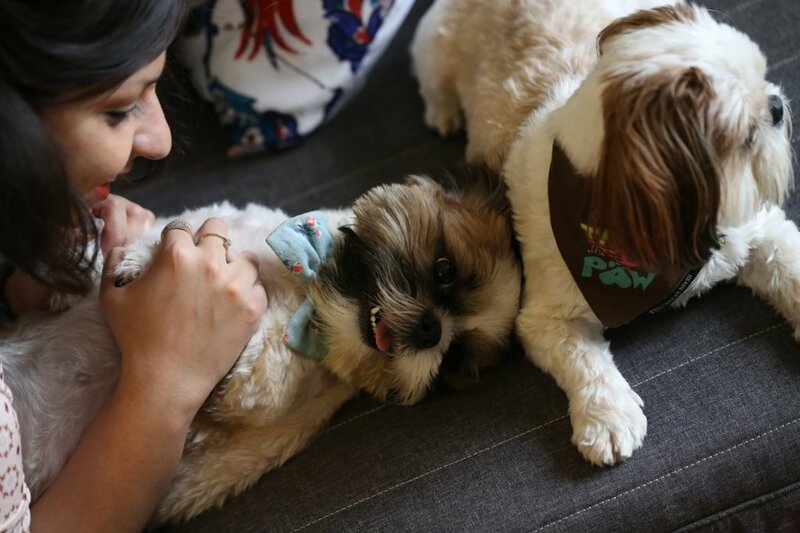 Relaxation – Massage provides both mental and physical relaxation for dogs. 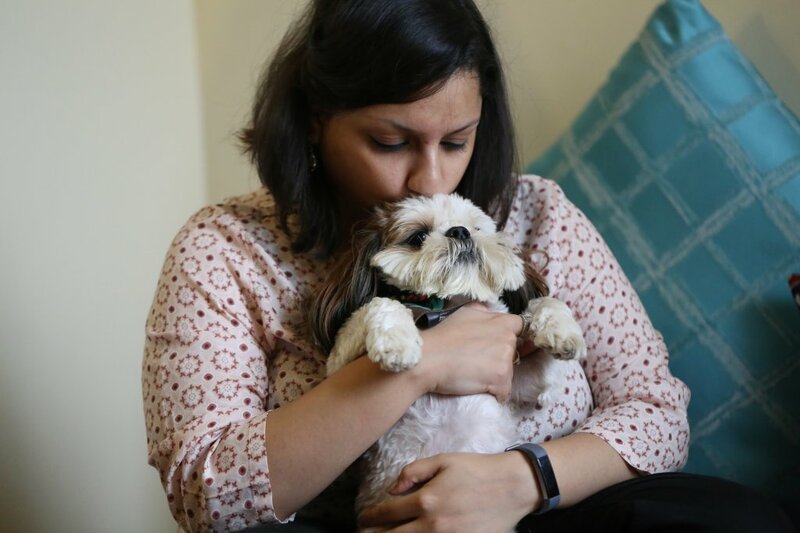 Your physical touch would reduce stress and aggression in nervous dogs. 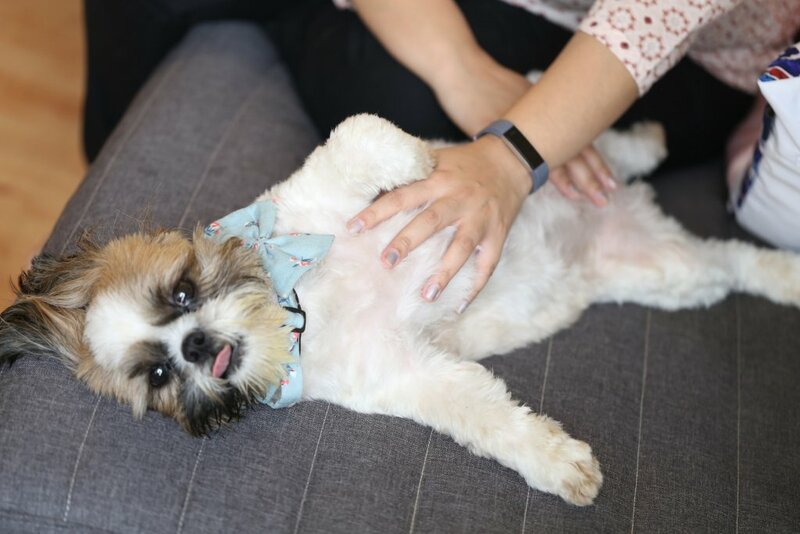 Massage is proven to reduce stress and anxiety, which is a huge plus for any dog and especially helpful for pups that are easily stressed or worried. 2. Improves Blood circulation – Stimulating the muscles and tissues help to increase the blood circulation in your pet’s body. This improves circulation of oxygen in the entire body. The motion of the massage would also help relieve any muscle pulls and other pains that may have affected your dog. 3. Detecting Injuries – Dogs can injure themselves at any point. Sometimes the wounds or skin irritations are at peculiar parts of the body, which may go unnoticed. Early detection is one way that regular massage can add to the length and quality of your dog’s life. Go slow. As you approach your first canine massage, remember that it may be a somewhat foreign concept to your pup. Make sure your dog is enjoying it. 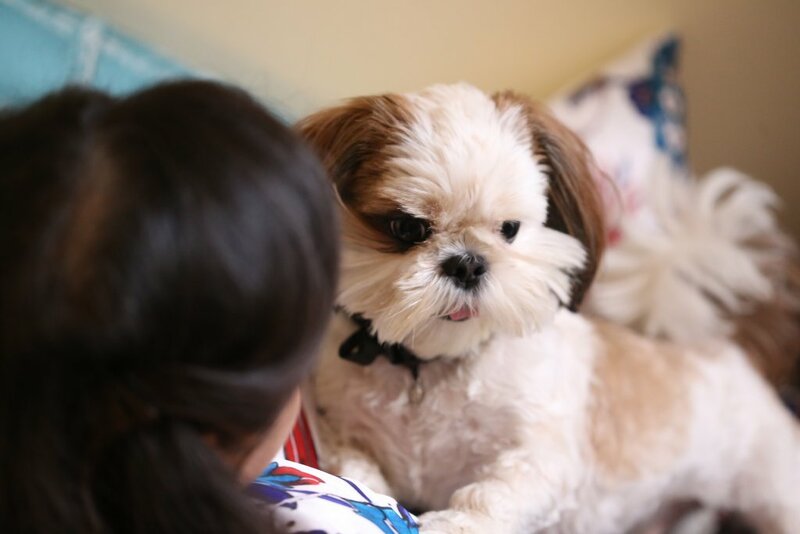 While most dogs love massage, pay attention to any negative reactions and honor them. Seek out a certified canine massage therapist for dogs with serious health issues. Essential oils can benefit your dogs in many amazing ways. I personally use a blend of Lavender oil and Neem oil in coconut oil as the base. Always ensure that the essential oils you pick up are genuine. 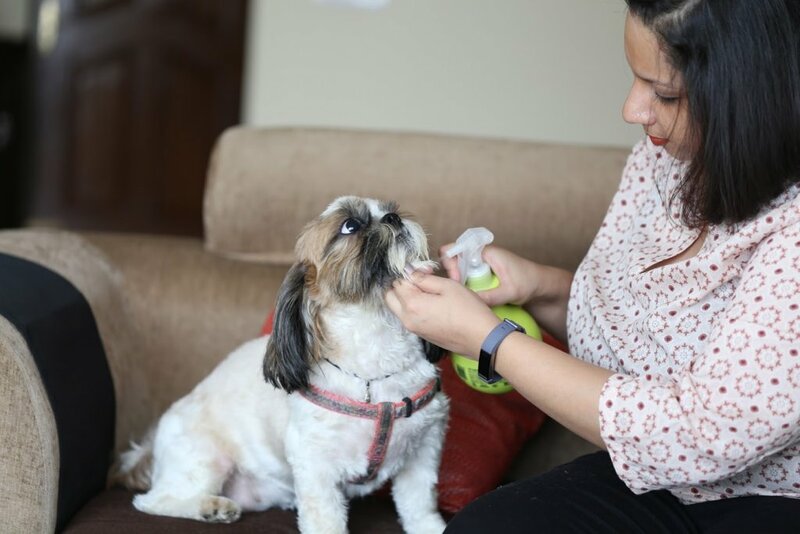 Many essential oils sold in India have chemical substances in them, which can be detrimental to your pooch. Please be mindful while purchasing them. 1. Coconut Oil has antimicrobial and anti fungal properties that can greatly benefit your dogs. It maintains and improves overall skin health. It helps clear up skin allergies, eczema and hot spots. 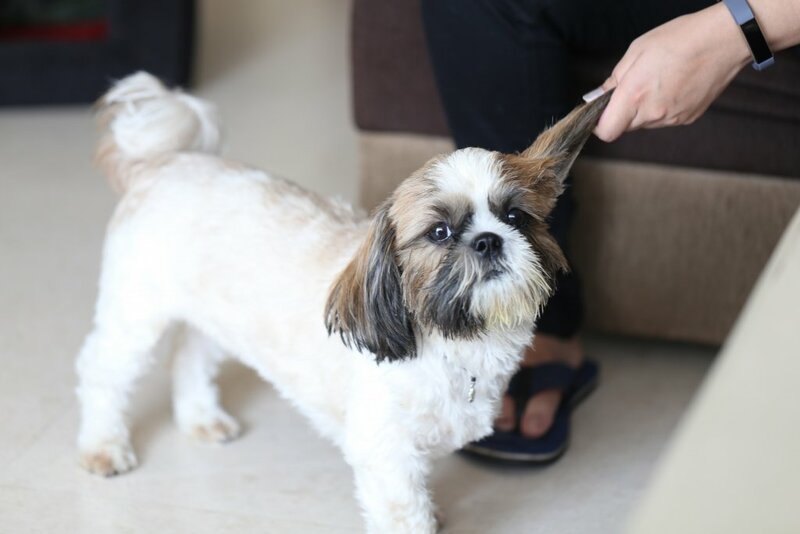 It also keeps conditions the skin and makes the fur shiny and smooth. 2. Neem Oil is powerful oil that fights against ticks and fleas. It also clears up fungal infections such a yeast infections and ringworm. This oil also helps in sunburns. 3. Lavender Oil has the same calming effects on dogs as they have on us humans. It affects the central nervous system. Lavender oil application results in a calming experience and is thus extremely helpful for dogs that have anxiety issues, insomnia or car motion sickness. Quick Tip: If you have a small dog then about 3 drops of each of the essential oils in 2-tablespoon of coconut oil is sufficient. If you have a bigger dog then anywhere between 5 to 7 drops of each essential oil in 4-table spoon of coconut oil will be ideal. Other essential oils that are safe to use: Cedarwood Oil, Eucalyptus Oil, Geranium Oil and also Sweet Orange Oil. 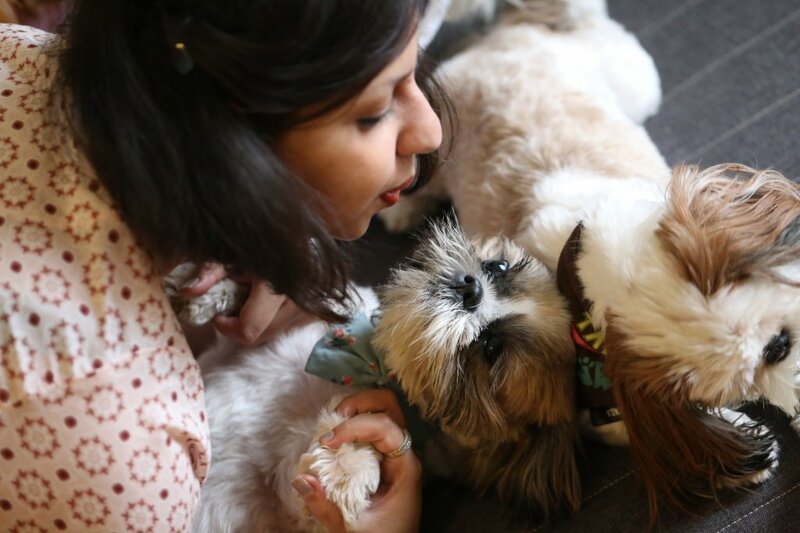 D-I-Y doggie massage session at home can greatly improve the overall health and wellness for your dog. It is a positive experience for your dog that you must reward them with. 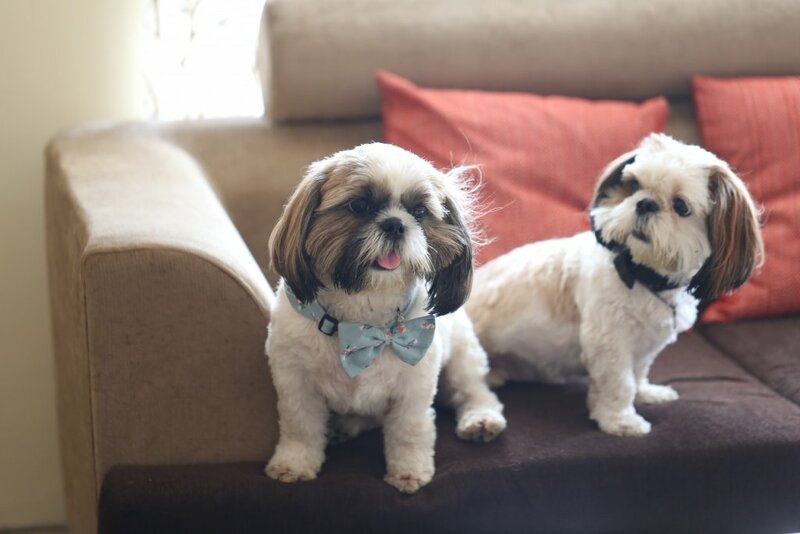 It is an experience you and your furball will really enjoy! !